That belt buckle cracks me up. I found it in a drawer I've since dubbed Hubs' accessories graveyard. 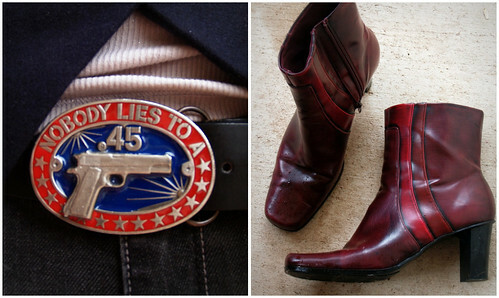 I forgot that circa five years ago he used to collect hilarious belt buckles. I am pretty sure he even wore a biker gang belt buckle to our wedding (yes, with his tuxedo). 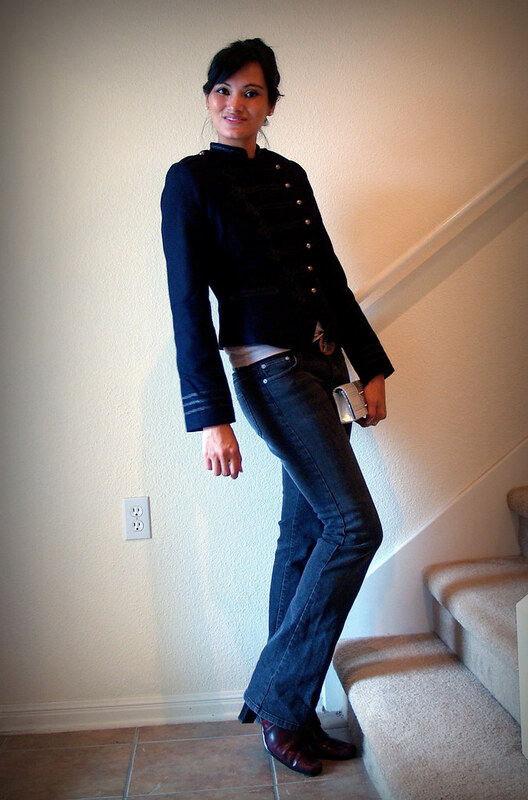 I must start putting these buckles back into wardrobe rotation, starting with this one. "Nobody lies to a .45! ".